Isaac, my energetic three-year-old, wakes up every morning at the same time – 6:45. He may actually wake up sooner than that, but he has to wait until his bunny clock wakes up to get out of bed. That clock is a lifesaver. To all you mothers with early birds, I feel you. For those of you who have children who sleep til 8:00 or 9:00 (or even 7:00! ), I envy you. “The dragon books” are very specific. (Actually, one of them is about an alligator. But whatever.) I picked them out last week at the library and I am pretty much sick of them. (You would be, too, if you read them three times a day.) But even now, I can honestly say they are great books for little boys. I’m not sure what we’re going to do when we have to return them to the library. Probably put them on his Christmas wish list. 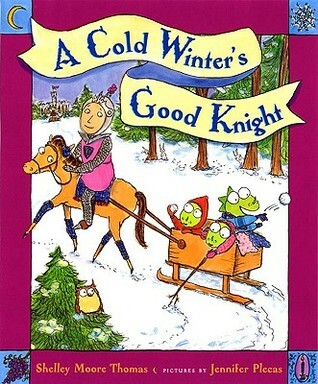 A Cold Winter’s Good Knight is another fun book in the Good Knight series by Shelly Moore Thomas. We love them. They are so fun, and a great opportunity to talk about silent K’s with a kindergartner. 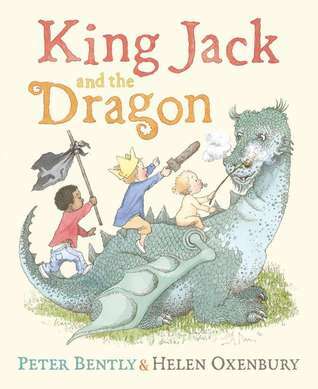 This particular book is also a good one for a discussion on manners, as the Good Knight’s little dragon friends attend a ball in the King’s Castle and get into all sorts of mischief as they try to figure out what exactly manners are. Finally, the dragon book that isn’t a dragon book is There’s An Alligator Under My Bed by Mercer Mayer. I’ve seen this book mentioned on many reading lists for kids through the last few years, but I always stayed away from it. I guess I worried it would make my children begin the timeless tradition of imagining that scary monsters live under the bed. But I shouldn’t have worried. 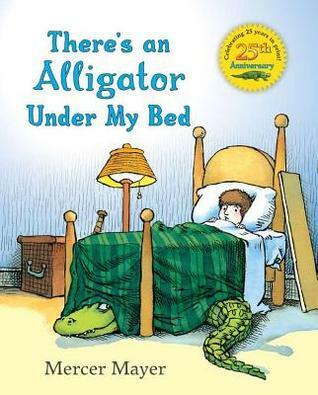 The book actually brings to light how ridiculous it is to believe an alligator lives under your bed, without being “preachy” or making fun of children. Besides that, it’s just fun. So that’s what we’ve been reading this week, along with a few Berenstein Bears books. We’re looking forward to reading some Thanksgiving themed books in the coming weeks as we approach the best and most under-celebrated holiday in America. Let me know if you have any suggestions!